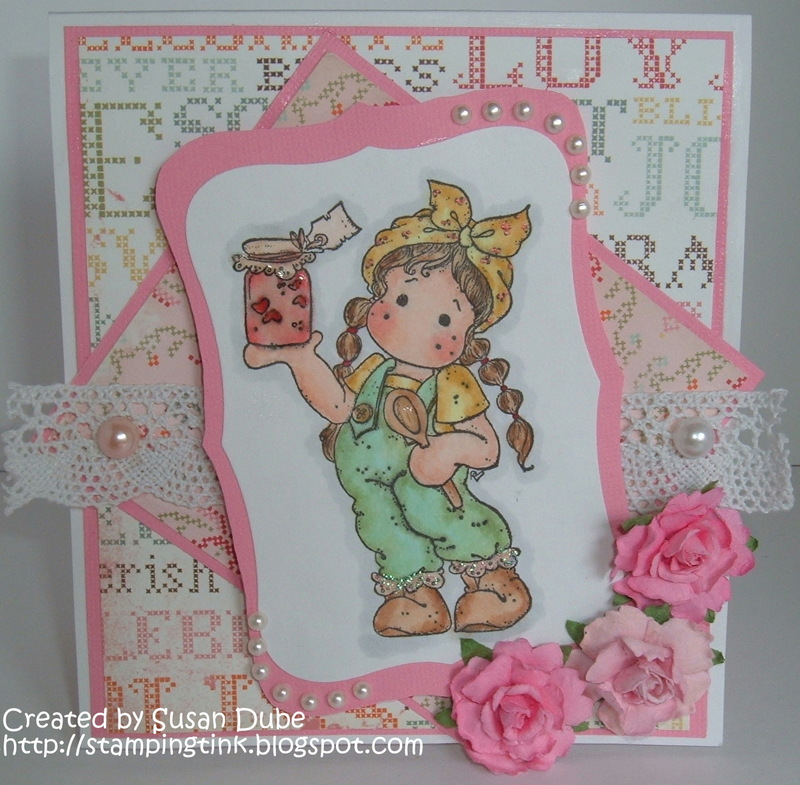 Stamping Tink: Tilda with Lovely Jam - Yum Yum! 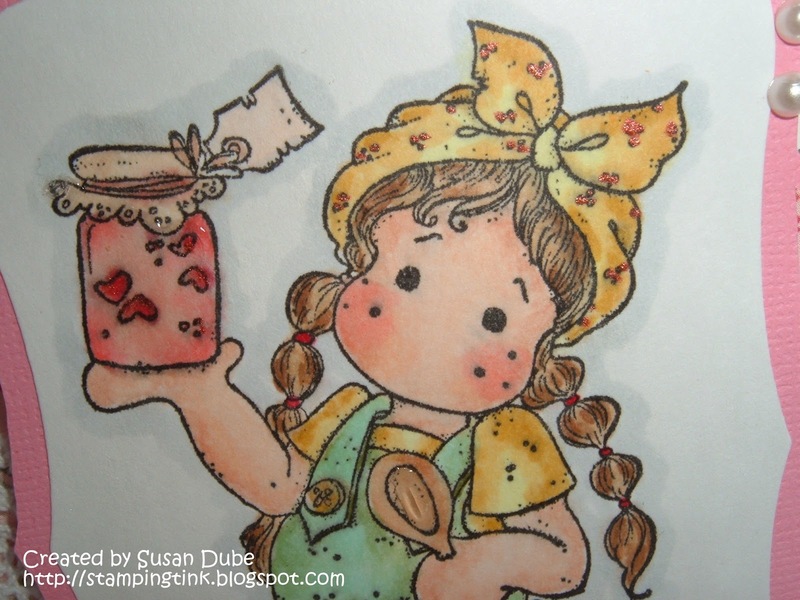 Tilda with Lovely Jam - Yum Yum! The end of summer is so bittersweet for me. I love the hot weather but will admit, that every now and then, that break in the weather is very well welcomed! I love when all the berries have come to full fruition and are ripe and ready for some good jam making! Making jams is one thing that is on my list of things to learn to do. To me, there's nothing as good as having a piece of great homemade bread (which thanks to my bread maker I can do! ), slicing it and slapping a bunch of good old homemade jam on top of it! Gosh, I'm making myself hungry already! 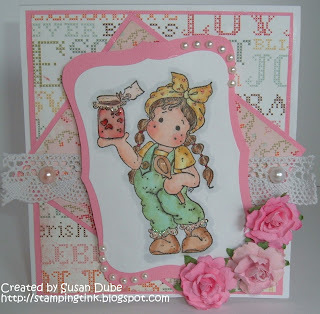 When I saw this sweetie pop Tilda with Lovely Jam, I knew I had to pick her up from Cindy at StampingScrapping! She is such a fun time! I think she looks as yummy as her jam! Doesn't she have just the sweetest face? I just got most of my stamps back from my daughter keeping them for me during my move and get ready, cause I do love me some Tilda! Now I'm off to find me some homemade jam! There's always some around the house! Have a great day! How cute is this!!! Fantastic coloring on that sweet image, and I love the papers and the way you left the lace hanging off the sides. :) Thanks so much for joining us at Tuesday Morning Sketches this week! 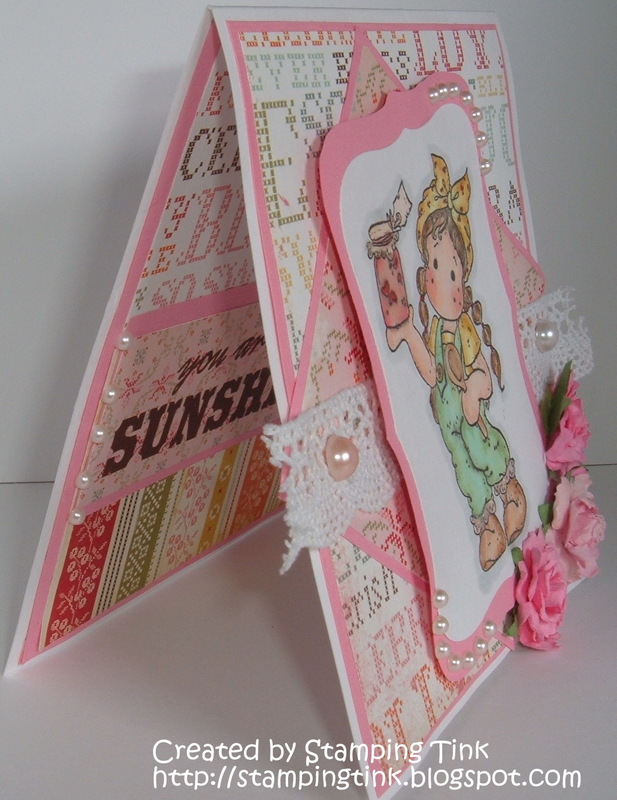 A lovely card Susan. Super DP and coloring. You're insides are certainly competing with your outsides!! I love it all Susan! 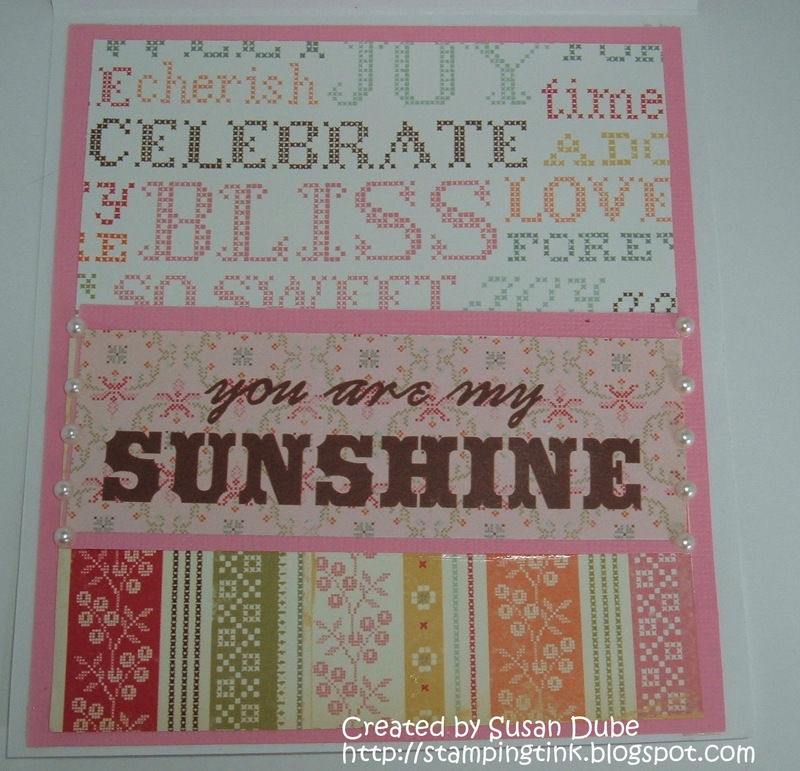 Such an adorable card, Susan! Love how you've colored Tilda sp sweetly and all the DP's are wonderful too! She's a cutie. Love your card. Such a cute card. I got this stamp and haven't had a chance to use it yet. Love the colors you used. How cute is that! Love the papers! Your coloring is fantastic! She is so cute and I love her on the DP you chose. Your coloring is so pretty too. Your jam sounds nummy. Beautifully colored ...gorgeous card Susan. You did a fantastic job on this beauty! Lovely coloring and gorgeous DP's. Gosh your jam and homemade bread is making me hungry! you are so rockin this Tilda! YUMMY! Makes me want to take out my canning jars and get busy. You did a wonderful job coloring her and picking out the papers as well as with your design. Good work! Another cutie! 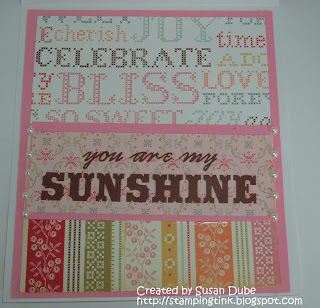 I love how you used the green & yellow on Tilda to bring out the papers! Very cute and love the colors. Absolutely adorable card. I love the DP. Thanks for joining us this week at Tuesday Morning Sketches. Awwww - love the color palette and the image is colored perfectly. 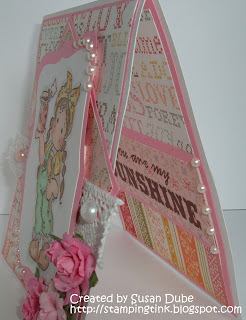 sweet card. Thanks for joining us at Tuesday Morning Sketches. Marci Ruffles - One Last Call for Summertime!